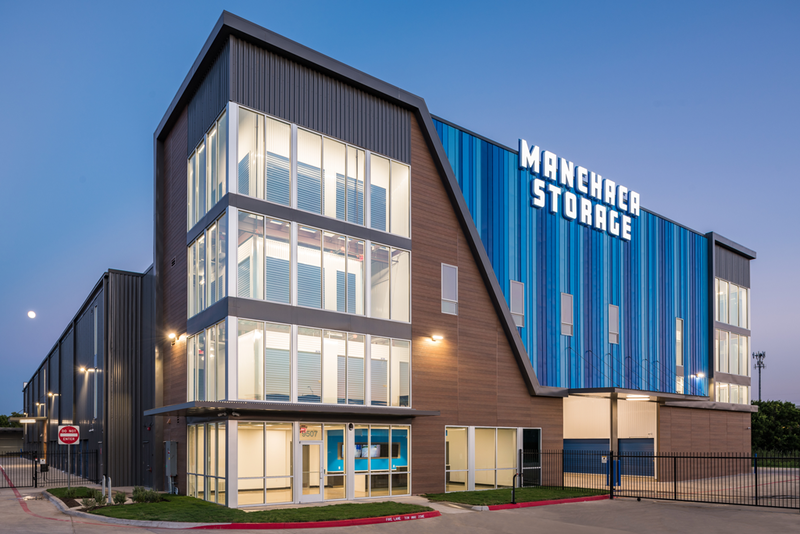 ARCO/Murray recently completed a 123,000 square-foot self-storage facility for The Jenkins Organization in Austin, TX. ARCO/Murray provided a complete design-build solution including architectural and engineering design, permitting, construction, and final equipment. The energy efficient facility includes LED lighting throughout and an interior loading area. The unique façade consists of both metal panels and wood, which combine to create the eye-catching design. ARCO/Murray’s Eric Fleps was the project manager. Andrew Weiland and Dave Osborn served as the project superintendents.